Over the past decade, CPT has encountered an increasing amount of dog owners passionately concerned about proposed or existing breed-specific state or local statutes or homeowners or condominium association covenants that restrict persons from owning certain types of breeds within the geographic domain covered by the ordinances and/or bylaws. Similarly, we have met persons vehemently in favor of such governmental authoritarianism, due to rational or irrational personal fears related to certain dog breeds, a sincere concern for public safety, and/or a belief that there is “no valid reason” for a citizen to own one of the restricted breeds. Breed specific legislation has become increasingly common, especially since the release in 1995 of CDC statistics analyzing dog bite fatalities in the USA over a 15-year period. The CDC study concluded that there were 279 deaths of humans due to dog bites in the period from 1979 to 1994, of which the breed could be identified in 199 of the attacks. Of those 199 cases, Pit Bulls or Pit Bull crosses were responsible for 70 of the fatalities. The Rottweiler and Rottweiler Mix was the second most prevalent breed, accounting for 32 fatalities. Thus, according to the CDC data, Pit Bulls and Rottweilers combined were responsible for 51% of the fatalities where the breed was known. Recently, Merritt Clifton of “Animal People News” duplicated the CDC study. Mr. Clifton compiled data regarding dog bite fatalities and dog “maimings” by collecting and analyzing pertinent press reports from both the USA and Canada. He studied the period from 1982 to 2009. His published study reported that during the referenced period in the USA and Canada there were 345 persons whose death was directly attributable to dog bites for which the breed can be identified. The Pit Bull Terrier was the most frequently cited breed, allegedly responsible for 159 (46%) of the 345 fatalities. Akin to the CDC study, Rottweilers and Rottweiler Mixes were the second most frequently mentioned breed, responsible for 70 fatalities (20%). In addition, Clifton documented that during the same period Pit Bulls and Rottweilers respectively were responsible for 778 and 244 “maimings.” Clinton concluded that given the data, “Temperament is not the issue… What is relevant is actuarial risk.” Therefore, Mr. Clifton supports the increasing amount of breed specific legislation. Are the Pit Bull and Rottweiler the most dangerous dog breeds? And is it judicious and fair to characterize all Pit Bulls and Rottweilers as a threat to public health and safety? However, although the mathematical analysis is irrefutable that most dogs do not bite humans, there are nevertheless a significant number of dogs that inflict bites and even injurious bites. Let’s look at the data. Although the above cartoon may be comical, as the photograph shows, dog bites can cause serious injury, permanent disfigurement, psychological trauma, and even death. According to the website Doglaw.com, The American Pet Products Manufacturers Association released results of a 2008 survey that concluded that there are now 74.8 million dogs residing within the United States. Dr. Jeffrey Sacks, the author of the previously cited CDC study, concluded in 1996 that dogs bite 4.7 million Americans annually. The Journal of the American Medical Association (JAMA), in a 1998 study, quoted a much lower (but still substantial) figure of 800,000 dog bites per year, of which 150,000 required medical treatment. In 2003, the CDC in its Morbidity and Mortality Weekly Report (MMWR) stated that 368,000 Americans visit hospital emergency rooms annually due to dog bite injuries. State Farm Insurance reported that dog attack victims suffer over $1 billion annually in financial losses and that the company in 1995 paid over $70 million in claims in over 11,000 cases. The Insurance Information Institute states that between 2002 and 2007 the industry paid between $321 million to $356 million annually in dog bite claims to between 14,500 to 20,800 claimants, with an average of $24,511 per claim in 2006. According to the Insurance Information Institute, dog bite claims comprise over 15% of overall homeowner liability claims dollars. In summary, although the number of annual domestic fatalities due to dog bites is relatively small, according to various news organizations an average of approximately 20 per year and a high of 34 in any one year for fatalities combining where the breed is known and unknown, the number of total non-fatal dog bites and the total of non-fatal injurious dog bites is high and the resultant financial loss, pain, and human suffering is significant. Moreover, at least in the case of fatal dog bites, specific breeds (Pit Bull and Rottweiler) are notably and consistently represented. On the other hand, unverifiable sources say that considering both licensed and unlicensed dogs that the Pit Bull may be the most popular breed in the United States. Some Pit Bull Fancier organizations estimate that there are likely over 3 million Pit Bulls residing in the USA. Certainly, just by non-scientific observation, one can conclude that Pit Bulls and Pit Bull crosses are relatively common in comparison to most other breeds. Thus, comparing the dog bite statistics to the overall number of Pit Bulls, we can reasonably conclude that the vast majority of Pit Bulls reside as hospitable canine citizens. Moreover, there is data that questions the benefit of breed specific legislation. In the “Dangerous Dog Act of 1991,” the UK banned Pit Bulls and several other “dangerous breeds” unless the dog is neutered and always muzzled and on-leash when in public. However, a subsequent study released in the “Australian Social Monitor” determined that dog bite statistics remained the same in the UK after the institution of the 1991 Act, even though the number of Pit Bulls had steeply declined. Furthermore, a study completed by the University of Pennsylvania’s Veterinary School published in the journal Applied Animal Behaviour Science found that the most “aggressive” dog breeds were the Dachshund, Chihuahua, Jack Russell Terrier, Akita, Australian Cattle Dog, Pit Bull Terrier, Beagle, English Springer Spaniel, Border Collie, and German Shepherd. Thus, the Pit Bull was behind 5 other breeds and the Rottweiler was not in the top ten. Lastly, to use a comparison, although the death of as many as 34 Americans per year is tragic, the CDC publishes that firearms kill over 30,000 Americans per year! According to the University of Pennsylvania School of Veterinary Medicine, the Dachshund is the most aggressive dog breed. 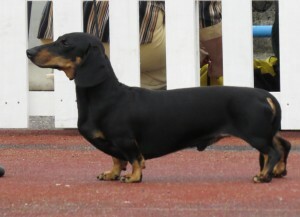 Should breed specific legislation include Dachshunds? 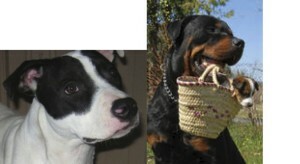 Despite the University of Pennsylvania study, breed specific legislation often singles out the Pit Bull, although many other breeds, including the Akita, American Bulldog, Bedlington Terrier, Boston Terrier, Bull Terrier, Cane Corso, Dogo Argentino, Dogue de Bordeaux, English Mastiff, Fila Brasileiro, Korean Jindo, Neapolitan Mastiff, Presa Canario, Shar Pei, Tosa Inu, and Wolf Hybrid have been mentioned in various ordinances throughout the country. In addition, the Rottweiler, German Shepherd, and Doberman Pinscher are occasionally restricted by certain HOA and COA covenants and are frequently prohibited by apartment lease contracts. Most importantly for those affected or opposed, breed specific legislation, be it authored by counties, municipalities, or homeowner’s associations, has withstood the onslaught of numerous legal challenges. Breed specific legislation is often spawned by publicity seeking politicians eager to aggrandize their status by pandering to the paranoia of the citizenry, which is why bills are frequently authored immediately after a dog attack receives extensive media visibility. 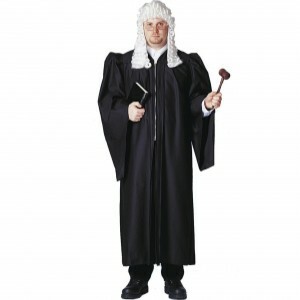 Usually for less unctuous reasons, homeowner’s and condominium associations and apartment lessors will restrict specific breeds to reduce legal liabilities and financial risk, as the entities wish to reduce exposure to lawsuits prevalent in our litigious society should a serious dog bite injury occur within their domain. In addition, many insurance carriers will refuse to provide homeowner’s or renter’s insurance to persons owning Pit Bulls or other “high-risk” breeds. 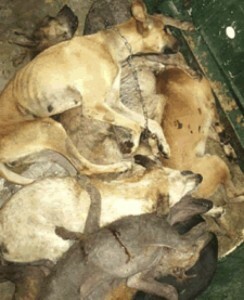 Internationally, approximately 20 countries in South America and Europe have adopted nationwide breed restrictive laws. Germany has an outright ban on Pit Bulls and Pit Bull type breeds. Violators are punished with up to 2 years in prison. Ecuador bans the private ownership of both Pit Bulls and Rottweilers. Ireland requires that 10 breeds, including the Rhodesian Ridgeback, are always muzzled when taken in public. Romania requires that persons must be at least 18 years of age and certified as psychologically competent by a court to legally own a Pit Bull, Rottweiler, Neapolitan Mastiff, or several other breeds of dog. Romania also requires that persons walking Belgian Malinois, Doberman Pinschers, German Shepherd Dogs, Giant Schnauzers, Komondors, Kuvasz, and Presa Canarios always have them muzzled in public places. Domestically, according to the website DogsBite.org, over 500 cities and counties have enacted breed specific legislation, including Bismarck ND, Cincinnati OH, Cleveland OH, Kansas City MO, Loudoun County VA, Miami-Dade County FL, Milwaukee WI, Omaha NE, Prince George’s County MD, Providence RI, San Francisco CA, Toledo OH, Topeka, KS, Wheeling WV, and Wilmington DE. New York City prohibits the ownership of over 20 “high-risk” breeds within public housing projects. The State of Ohio defines all Pit Bull Dogs as automatically “vicious.” Consequently, to legally own the breed, Ohioans must confine their Pit Bulls inside a special pen that includes a top and purchase $100,000 of specific liability insurance. The United States Army and the United States Marine Corp universally banned the ownership of Pit Bulls and several other designated breeds inside base housing. Some Air Force and Navy bases have imposed similar regulations. Are Bedlington Terriers and Boston Terriers so inherently dangerous that they deserve breed specific prohibitions? They are according to the New York Public Housing Authority. The most noteworthy and perhaps egregious example of the aborning of a breed specific law and its resultant effects occurred in the city of Denver, CO. In July 1989, after the mauling of Rev. Wilbur Billingsley, who received two broken legs and over 70 bites, the Denver City Council enacted an ordinance banning the ownership, possession, transportation, and sale of Pit Bulls within the city limits. The ordinance grandfathered Pit Bull dogs already residing within city boundaries. However, to legally keep their dogs, owners of grandfathered dogs, provided they were at least 21 years of age, were mandated to register their dog(s) with a special tattoo, maintain at least $100,000 of liability insurance, keep the dog confined inside the domicile or in a fully enclosed pen meeting specific requirements, not sell or transfer the dog to any non-family Denver resident, post a sign of specific dimensions that says in big bold type “PIT BULL DOG” at every entrance to the property, and either keep the dog in a carrier or leashed and securely muzzled when taken off the property. Owners who were unwilling or financially unable to meet the guidelines had their dogs seized by Denver Animal Control. If the owners did not then satisfy the requirements within a specified impoundment period (7 days, unless they petitioned for a hearing), their dog was automatically destroyed by the authorities. Many sources estimate that Denver Animal Control euthanized over 3500 Pit Bulls due to the ordinance- regardless of the individual temperaments of the seized dogs. Concurrently, they also incorrectly confiscated and killed an undetermined amount of non-Pit Bull breeds in circumstances of “mistaken identity,” as there were no statutory provisions for a pre-impoundment hearing and the burden of proof was placed upon the dog owner to prove that his/her dog was in fact not a Pit Bull. In 1992, upon adjudicating a lawsuit by citizens and organizations opposed to the statute, the Colorado Supreme Court upheld the law and stated that the City had valid public health and safety reasons to legislate the ban. In April 2004, the Denver ordinance was temporarily suspended after the Colorado state legislature passed a statute prohibiting local breed specific legislation. However, the City of Denver sued the State of Colorado and won. The Judge ruled that the state law breached Denver’s home rule authority in violation of the Colorado state constitution. Thus, the Denver law was reenacted in May 2005. After the law was reenacted, Denver Animal Control again began confiscating Pit Bulls, as all the legally grandfathered dogs had since died. Therefore, all Pit Bull and Pit Bull type dogs within the city limits resided there illegally. Even though the law is expensive to enforce and Denver has lost lawsuits to aggrieved pet owners who were able to prove after the fact that their quarantined and/or euthanized dog was in fact a Boxer, Bulldog, or another breed that caused mistaken identity, the City of Denver marches inexorably in administering the statute. According to Jared Jacang Maher of Westword.com, since the reenactment, just from May 2005 to December 2006, the City impounded approximately 1,900 Pit Bulls and euthanized 1,453 of the dogs. Basically, Denver Pit Bull owners have only three alternatives, give away their dog to someone living outside of Denver, move from the city, or have the dog euthanized. The choices may be similar for persons residing within counties, cities, subdivisions, or condominium communities where there are statutes or covenants prohibiting Pit Bulls or other designated breeds. Unfortunately, the vast majority of court decisions have concluded that breed specific ordinances fall within the legitimate interests of the pertinent legislative body to protect citizens from vicious dogs. Consequently, the statutes and covenants fall within the allowed powers of the entity to provide for public health and safety. Legal challenges have centered around two areas: 1) violation of constitutional rights to procedural and/or substantive due process and equal protection provided in the 5th and 14th Amendments and 2) unconstitutional vagueness. One due process argument frequently posed is that the legislation is discriminatory and arbitrary, since Pit Bulls are not the exclusive exhibitors of aggressive behavior. However, the Colorado Supreme Court set precedent when it stated that when legislative bodies impose regulation of a hazard, they are “not required to simultaneously regulate every similar hazard.” Courts have repeatedly ruled that citizens do not have a fundamental right to own a particular breed of dog, that state and local authorities have broad police powers, and that there is sufficient data to determine that specific breeds of dogs pose a legitimate risk to the public welfare. Therefore, the courts routinely determine that breed specific legislation is constitutionally valid and within the interests and rights of governmental authorities that author and impose such legislation for the stated purpose of preserving and maintaining public health and safety. On the rare occasions when breed specific statutes have been legally overturned, the rationale has been that the law was poorly written, usually in the area of defining a “Pit Bull” or the appearance of a “Pit Bull or Pit Bull-type dog.” Laws must clearly define the germane criminal activity, so that in the interests of procedural due process otherwise innocent citizens can knowledgeably avoid illegal conduct and so that policing authorities may legitimately and accurately enforce the regulations. A Massachusetts court determined that a local Lynn, MA statute was unconstitutionally vague, since it “relied on the subjective understanding of dog officers of the appearance of an ill-defined breed and leaves dog owners to guess at what conduct or dog ‘look’ is prohibited… such a law gives unleashed discretion to the dog officers charged with its enforcement.” A similar ruling occurred in a Des Moines, Iowa case. Breed specific ordinances have typically withstood legal challenges. With few exceptions, judges have found the laws pass constitutional muster as falling within governmental rights to author legislation that provides for public health and safety. Dog owners may have even less recourse when they sign restrictive homeowners or condominium association covenants or apartment lease contracts. The HOA, COA, or apartment landlord may have the contracted legal authority to immediately seize a proscribed animal without obtaining a warrant and, at the least, usually has the authority to financially penalize the owner, demand eviction, or commence expensive legal proceedings. 1) On many occasions individuals and organizations have successfully battled the enactment of a breed specific law, provided they fought before the bill was voted on and/or passed. 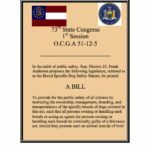 For instance, in GA, a bill was tabled in committee and never received a full floor vote after the bill received vehement public opposition by several politically active dog organizations and numerous outspoken supporters of the organizations. 2) If a bill has passed, you can attempt to use the political process to repeal the law. 3) You can attempt to prove that your dog is not a “Pit Bull” or other restricted breed through several genetic cheek swab and blood DNA tests that verify breed origin. 4) You can attempt to prove that your dog is not a Pit Bull or other prohibited breed by hiring an expert witness who can use personal experience, physical measurements, physical appearance, and/or behavioral characteristics to determine that in accordance with AKC or UKC breed standards your dog is actually an allowed breed. 5) You can hope that the proposed law includes grandfathering provisions. 8) You can take your chances that you and your dog can stay undercover and escape the long arm of the law and its resultant penalties. Please note that the solutions are similar for readers affected by breed specific legislation imposed by HOA and COA covenants. If the restriction is already in the covenants, usually a referendum of residents is required to change the document. Consequently, prospective homeowners who are also dog owners need to carefully read covenants before closing on a home. Similarly, prospective apartment renters need to read and possibly negotiate lease contracts before applying their signature and submitting a deposit. Otherwise, they have entered into a legally binding contract that may force them ultimately to choose between their home/apartment or their dog if and/or when a neighbor, board member, or property manager becomes aware of their noncompliance. The above article has been written in a primarily unbiased manner. For those who are concerned regarding CPT’s opinion regarding breed specific legislation, we will now tell you where we stand. We find breed specific legislation repulsive, poorly supported by data as to its necessity or benefit, difficult to properly enforce, excessively empowering to persons who often are poorly trained to accurately recognize specific dog breeds, and inordinately punitive. Rather, we prefer public policy and animal control guidelines that encourage responsible pet ownership, regardless of breed, and that clearly define behavior considered a public hazard or nuisance, without attaching any breed relationship to the behavior. Nevertheless, to successfully fight breed specific legislation, opponents need to understand the empirical and emotional origins that stimulate the authorship and passage of the bills, regardless of whether the referenced origins are meritorious or specious. Moreover, before investing money and time on “after the fact” legal challenges, opponents should understand the volume and manner of legal precedent. Consequently, we recommend opponents strategize their efforts by emphasizing public and political pressure that ultimately persuades legislative bodies to dismiss or repeal planned or existing ordinances. © Copyright Mark Spivak and Comprehensive Pet Therapy, Inc., August 2010, All rights reserved.